Trade organization Dutch Data Center Association (DDA) today presents its report "State of the Dutch Data Centers 2018 - Always On", the largest annual survey of the Dutch data center sector. 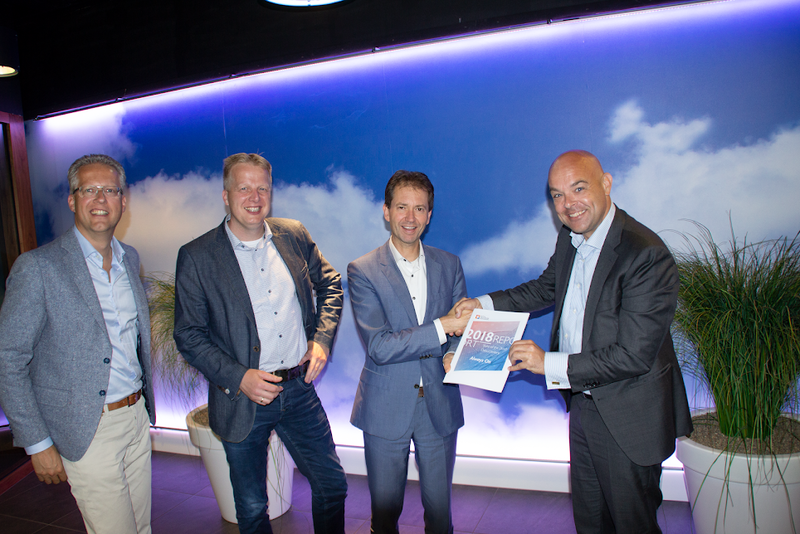 Eddy van Hijum, deputy of the Dutch province of Overijssel, received the first copy of the report. The presentation of the report takes place during the annual National Data Center Day. At this day, data centers affiliated with the DDA open their doors to the general public. The report shows that the demand for regional data center services is increasing in relative terms. This growing demand comes mainly from local authorities, education and healthcare institutions and tech companies. Stijn Grove: "We cannot emphasize enough the importance of regional data centers. All 98 regional data centers spread across the Netherlands ensure that companies and institutions, which are increasingly dependent on IT services, can run and innovate carefree and continuously. With the growth of Edge Computing, we will also see more growth in the region. In addition to the economic importance of data centers, it is also becoming increasingly clear that they can play an important, positive role in the energy transition. For example, the sector relies almost entirely on green electricity and huge steps have been taken in the field of energy efficiency. In addition, residual heat generated by data centers is now increasingly being reused. The DDA study shows that no less than 64% of the DDA participants actively recycle their residual heat. A fantastic first step, but there is work to be done. Stijn Grove: "This residual heat is now mainly used for heating the data centers, but we are now active in various large projects to link data centers to heat consumers. Because a circular society can be achieved together. The report is freely accessible for download via the DDA website.